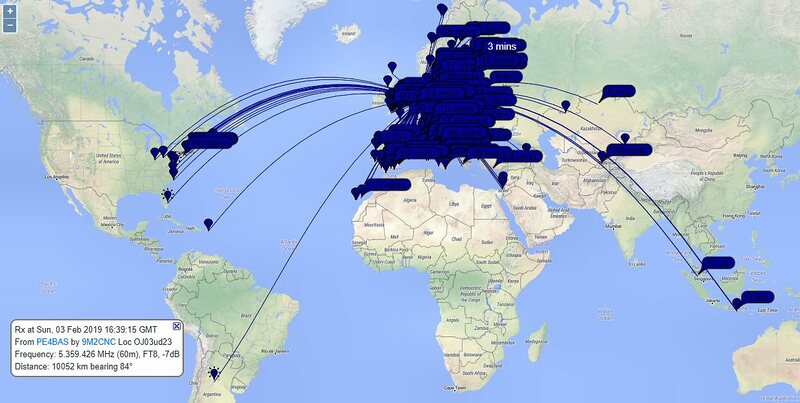 Last week I was monitoring 80m on the "official" WSPR frequency 3.5686MHz dail. 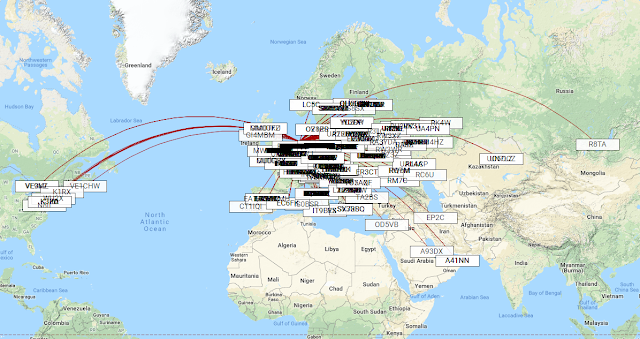 I ended in the PE1ITR WSPR challenge list between place 26 and 12 I believe and with approx 70-90 unique stations every day. 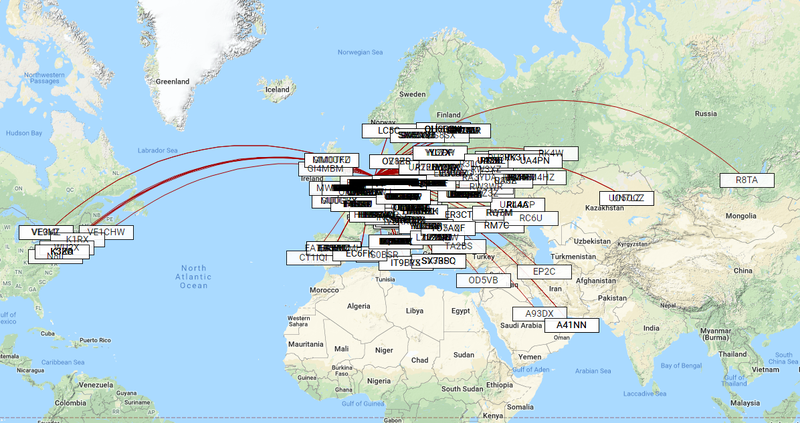 Then, watching the activity link, it occured to me half of the WSPR stations are still on the old WSPR frequency 3.5927MHz. What would happen if I run 2 WSPR stations on receive, one on the old frequency and the other on the "new" frequency. Well, you can see the result! 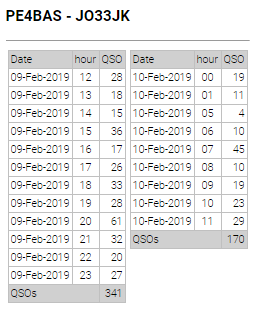 And I wasn't even on for 24 hours since one station was used for 1 hour running the CQ 160m SSB contest. Strange thing 80m WSPR is divided over two frequencies. Why is the old frequency still used by so many users? Haven't they noticed? 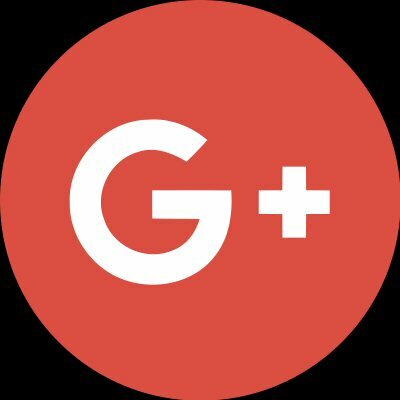 What are they doing with the data? Did they forget they have a station unattended transmitting on 80m (on the wrong frequency)? Since my antenna tower is grounded I searched for a way to shunt feed with a autotuner like a gammamatch. I found a article from N6TZ Hal on eham and although I read it I picked only the most important things out of it and used what I got. N6TZ is a broadcast engineer and his website is mainly about his antenna setup, a good read. 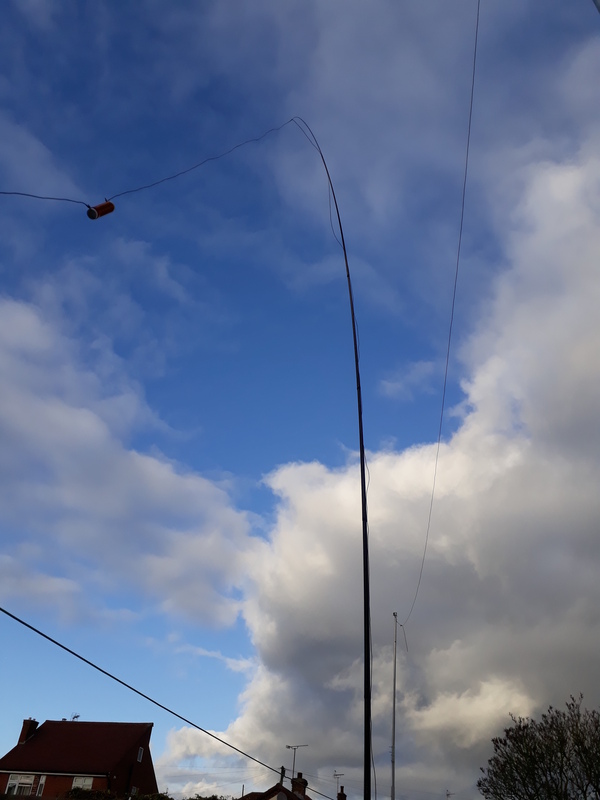 Most important I think is that the beam on top is grounded to the mast and luckely it is, normally coax should also be grounded at the bottom but I have my RF systems isolator box so there is no galvanic connection between coax of the tower and the coax to the shack. Another important thing is that all wires and coax should be running inside the tower and in my case it is. 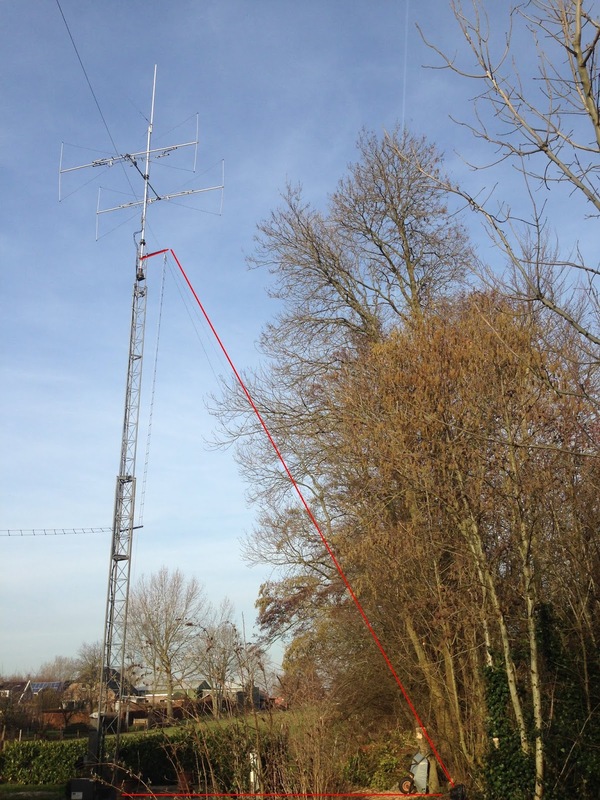 A simplified description of the system: See the photo, running a wire (red lines) from top of the tower and bonded to the metal to the autotuner which is 6m (20ft) away from the tower. Running a flat copper ribbon strap a few cm underground from the "earth" of the tuner to the bottom of the tower and also bonded to the metal. 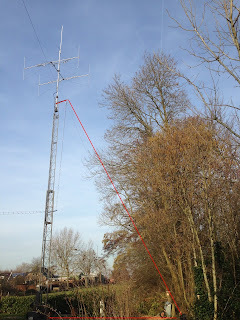 The "earth" connection on the tuner is also connected to a copper rod into the ground, connected to the copper rod are 2x 10m long elevated radials. Coax from the autotuner is first going a few times through a ferrite #61 ring and together with the 12V supply going the the box at the bottom of the tower were I grounded the coax again. From the box it is connected to the coax going to my shack. View from the autotuner to the mast. Some people will think now that I made a grounded delta loop, but that is not the case. 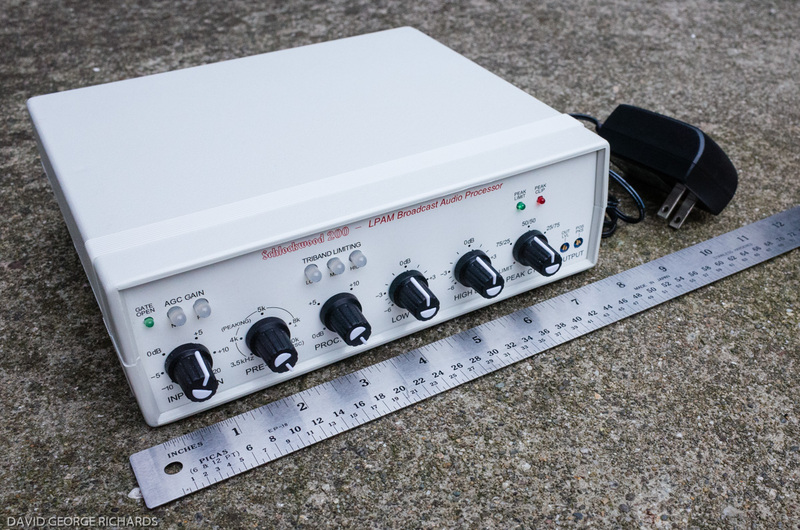 This system is called a top loaded shunt unipole vertical. However this is really a experimental antenna since you will never be able to predict or calculate any radiation pattern or angle on any band, it is just a matter of trail and error. 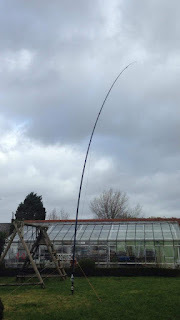 The shunt fed tower should work fine from 160m-40m. I tried to transmit on the system and it was tuned easily on all bands. 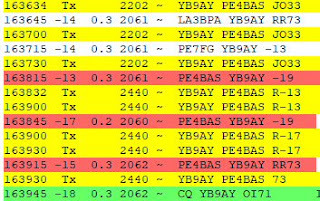 I made some contacts on 60m and found I got unexpected surprisingly good reports. Switching from the inverted-V to the shunt fed tower didn't show me real differences. I was thinking about my testing method to compare antennas and thought the only way to get a real(time) comparisation result should be with 2 transmitters on WSPR transmitting the same power at the same moment. So I made 2 WSPR stations PE4BAS on the shunt fed tower and PE4BAS/P on the inverted-V both transmitting 1W on different frequencies in the WSPR spectrum at the same time. I'm shure this is the best method determing which antenna is best under same circumstances taking a fast changing propagation in mind. I tried to find stations around Europe and DX to compare. 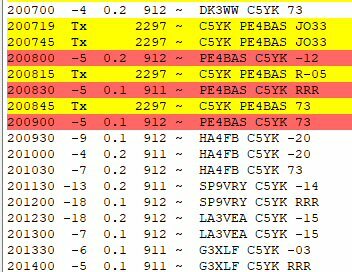 Only on 60m there were no DX stations on the WSPR frequency. Hopefully this will reduce some RFI on both TX as RX. Note that during my test transmission on 160m I had only 2 stations that received both PE4BAS on the vertical and PE4BAS/P on the inverted-V. Actually only those 2 stations received my 1W signal on the inverted-V. At the same time 1W on the vertical (shunt fed tower) gave me 50 (!) spots in one 2 minute transmission. Just to show you the extreme difference. 15 minutes later I worked Japan on 160m FT8. Oh yes, reading the N6TZ's website a lot of things came to my mind. I could attach a tracer wire from top to bottom wrapped a few times around the tower to make it a more constant conducting element. Then the groundsystem. I only use 2 short elevated radials now, but everyone knows you need much more to increase the radiation. On both tower as autotuner should be much more conductors. I'm even thinking about connecting the fence wire, used for the beverage experiments, to the ground. For receive I'm already thinking about another antenna since the vertical doesn't receive as well or the same as my inverted-V.
Info: To work Japan on 160m you need to work split. 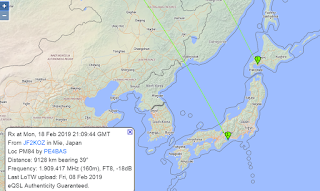 Japan is transmitting on 1908KHz and we are transmitting on 1840KHz. A typical day at my job. Years ago when I was still a 11m/CB radioamateur I was asked many times in QSOs "What is you occupation" a usual question in those days. And a greatful subject to talk about on the air. I haven't been asked ever on the HAM radio amateurbands. Could be this is not really something to talk about? Or did they in the past and is this question taboo now? Occupation has many translations but in this context it does mean what your profession is, your job, what you're doing for your living. Most people do, some do not because of their health. Most radioamateurs are retired but had a job or more jobs in their lifetime. My job at the moment is difficult to explain sometimes. Officially my profession is electrician. I've been a electrician for a few years but don't like the work actually. So I have been a operator in factories for years. But since working in shifts is not for everyone and certainly not for me as I did get sick of it. I was lucky to get a job as a allround technician at a shop in (and now near) my village on a daily basis. 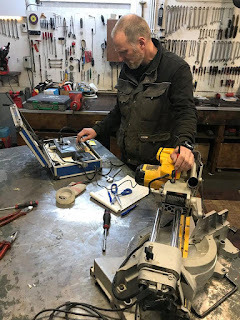 It is a allround job, repairing almost everything the shop sells. In the first years we also sold agricultural corn dryers and remote electric driven garage doors. I had, because of my profession, a lot do do with the process and installation. But now these days we mainly repair lawnmowers, garden equipment, high pressure gear, electric powertool equipment and forced air heaters. We deliver parts as well from all kind of brands and we not only repair what we sold but everything that comes into the shop for repair. It is a interesting job with sometimes a challenge to solve a problem. And it is always nice to have satisfied and happy customers. The most important (for me at least) dutch contest is over for this year. Just searching the archives for last years score, it was a better score compared to this year. No progression, I guess this is the limit of my station at this moment. If I want to have a better score the only way is to improve my antenna for 20m. The HF5B did a great job on 15m, as soon as there were slight conditions I could make the contact, it gave me some extra multipliers. - Some spots that appeared on DXheat cluster didn't show in the bandmap of N1MM+. Most spots did, only a few didn't. I checked if I had any filters on or some adjustment wrong but so far I didn't find anything. Conlusion: it pays if you keep an eye on a second DX cluster. - It could be propagation but even when I was spotted (I was spotted 10 times) there was no follow-up pile-up like last year and the years before. Didn't anyone hear me? Or was it just a lack of stations? In the end I had 40 QSO less compared to last year on 80m which is my "money" band. 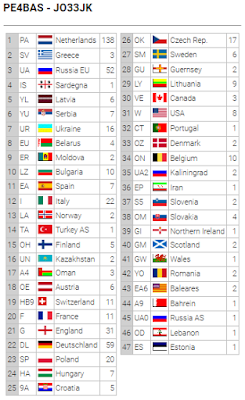 At least one multiplier will not count, EP2C (Iran) was not giving serial numbers in the contest. I worked him on 40m which was nice but not counting in the contest. In my heart I'm more a DXer as a contester. Wrong attitude to win a contest :-). But I worked some interesting DX and they were giving progressive numbers for the contest. Sometimes it was just a matter of asking. Propagation not good? Well indeed, but for "low sunspot" standards some pretty nice things happened. I worked 3 times USA on 80m and K3ZO was even coming back on my CQ. Last year I didn't work across the ocean on 80. On 40m I worked K3ZO as well just like a few others from USA. I checked 15m and 10m regularly and found 15m open for a few minutes on/off. 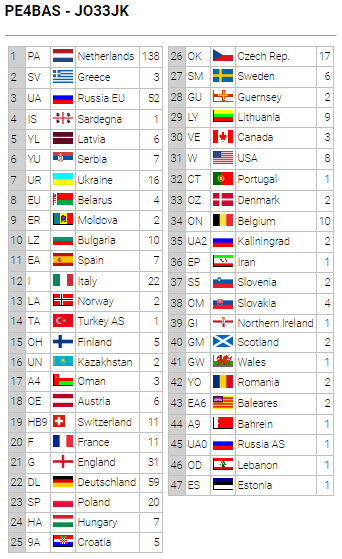 OD5VB and A41NN and a few russian stations made it in the log. 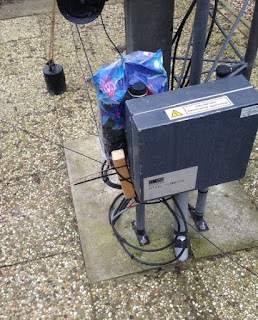 The endfed was setup as spare antenna, actually it was quite good. Though the large wind was a problem this weekend, it kept sliding in no matter what. Tried some tape to hold it but that didn't work. I made some QSOs with it but that was all. I noticed 20m receive was just as good as on the HF5B beam, a confirmation that I should improve something on that band. On 40m it was sometimes better sometimes worse but most of the time receive was equal to my inverted-V. SWR was great and it worked well with 100W SSB although the antenna is made for QRP use. Less off time compared with last year. I went to bed for about 3,5 hours. This contest might be interesting to do for a continuous 24h participation in CW but for the SSB section it hasn't much use. You better get some sleep to have a fresh mind in the early morning. 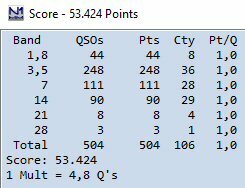 Worked 47 DXCC, one more compared to last year. No south-america or central america, no Australia or Africa. I heard PJ4DX but so far he only appears to do some S&P and almost got a QSO with a VK2 but it didn't happen in the end. I was up at 5 UTC in the morning, even that is too early...I made only 4 QSO, one every 15 minutes of calling. But you never know of course....next year it could be different. Made 7 last year at the same time. 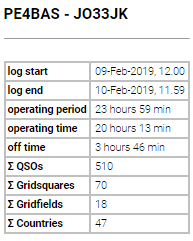 Best time was 20 UTC on 80m, almost like every year. Though last year my best time was at 18 and 21 UTC. The most difficult thing in this contest is what band to choose at daylight. I sometimes felt like I was on the wrong band at the wrong time. The problem is that every year is different. The only thing that works is to be at 80m at saturday evening for some extra QSOs. Then the CQ WPX RTTY contest at the same time. It's the same every year...at night 40m is only usable from 7100 and up, below that frequency it is full of RTTY sigs. Another disadvantage is that most big contest stations and well known contesters participate in the RTTY contest. It's a pity...I don't think it will ever change since the date of the PACC contest is always the same since decades. We have to make the best of it as it is. I wrote about this UKEICC contest before and participated in the past. It is a 1 hour contest on 80m once a month. There is a CW and SSB section both on different dates. I'm most interested in the SSB version. You can get a automatic reminder e-mail a day before. So I did get the e-mail and decided to participate as a exercise for this upcoming PACC weekend. I really like this fast format since after the contest you need to submit your log within a hour. A short time after you already see your results. I obtained 4th place yesterday in the combined results. And I see a first place in the Low power section. I don't think there is a difference between assisted/unassisted, you can choose it but it hardly makes any sense since there are not many cluster spots anyway. If you don't like long contests or just want to contest for the fun of it this is the contest for you. I suggest try it some time. 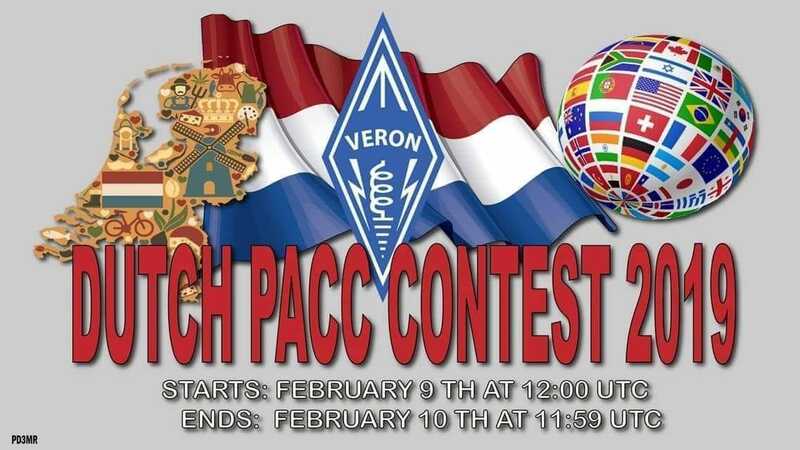 The PACC contest is the most important contest for Dutch radioamateurs. 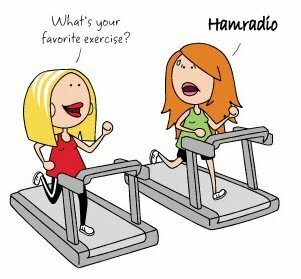 The nice thing is that everyone has to work the Netherlands so we dutch HAMs finally get a response on a CQ when calling. The only problem is that the CQWW WPX RTTY contest is going on in the same weekend. That means all the important big contest stations outside the Netherlands are not participating in the PACC unfortunately. Anyway, that doesn't matter as the PACC is a fun contest and if you send in a log with your address you will receive a very nice token of merit. I don't know of any contest that sends such a token and it is much appreciated. Hopefully my radio will hold for this contest. Again the radio is sometimes not functioning like the PLL is not locking, I receive but with a lot of noise and hiss and stations sound like they all have a cold. Same for TX, modulation sounds if I have a bad cold and almost lost my voice. This is happening more often as last year. I guess at some point the radio will be completely dead.